We accept payment trough Paypal and Credit cards. We will start to work on your dress once we have received the order and payment. Purchasing any item through Mimetikbcn.com is a very simple process, you may find the products in which you are interested in searching for them by category or name. Once the purchasing process is complete, you will need to introduce your delivery information, select your preferred payment method and then you will receive the product at the address that you indicate. The prices and conditions shown on the Website are valid at every time, and their period of validity lasts as long as the session is open. 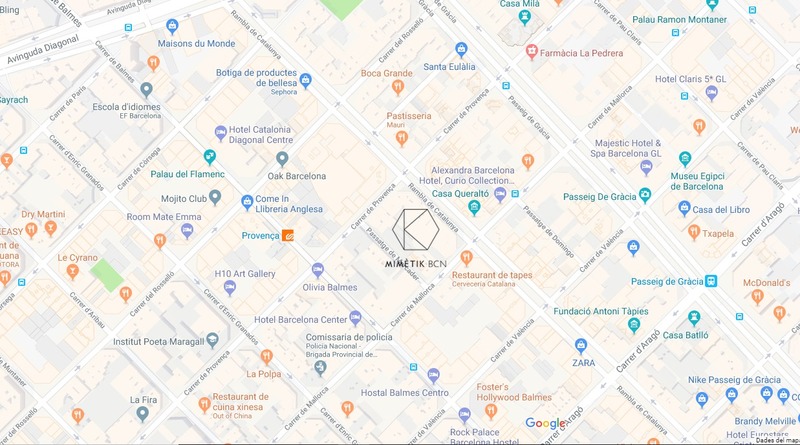 Mimetikbcn.com is not responsible for any change that may occur between sessions. Payments by these cards are made through a secure server in order to protect your information at all times. The charge will be made as long as the information provided by the order is correct. Otherwise, the charge will not be made and the purchase process will be cancelled. If the information of the buyer and the owner of the card don’t match, Mimetikbcn.com reserves the right to contact the buyer to confirm his or her identity or to contact the bank to ensure there are no reports of credit card thefts. Charges will be made at the time when the information of the purchase is confirmed. If the charge cannot be made for any reason, we will contact the User via email to report the situation. You must keep in mind that the payment gateway provided by Mimetikbcn.com has the appropriate security measures to avoid interception of communications. Nevertheless, any transfer of data on the Internet is at risk of being intercepted by breaching security systems. Mimetikbcn.com does not ensure that this will not happen, and is not responsible in case it happens. Payments can also be made by using a PayPal account. These purchases will be made by following the same terms as in the case of payments by credit or debit card. The information of the PayPal account must match with the information of the buyer, otherwise Mimetikbcn.com reserves the right to contact the buyer to verify his or her identity. Due to the high commissions applied by PayPal, Mimetikbcn.com may apply an extra fee to the User if he or she chooses this payment method, which will be specified prior to the order confirmation.